Priyanka Chopra To Make Her Marvel Superhero Debut? 'Avengers Endgame' Director Has An Answer! The news surfaced when 'Avengers: Endgame' director Joe Russo revealed that his team is talking with the 'Baywatch' star for a possible collaboration. 'Quantico' star Priyanka Chopra might be one of Marvel superheroes! The news surfaced when 'Avengers: Endgame' director Joe Russo revealed that his team is talking with the 'Baywatch' star for a possible collaboration. At a press conference in Mumbai, Joe Russo confirmed this news when a journalist asked him whether or not he would like to work with any Bollywood actor. The director replied, "I’d love to work with Priyanka." He added, "I’m smiling only because we’re potentially talking to her about something, I’m just not going to say what yet." Earlier Marvel announced that comic book Kamala Khan will be brought to life on the silver screen. Right after, fans started hoping and suggesting Priyanka Chopra play the Muslim superhero. The fact that Joe himself confirmed that certain development is possible, fans cannot stop wondering if it is going to be one of a Marvel film. Joe has visited India to promote his the most awaited movie 'Avengers: Endgame'. He is also set to launch Indian Marvel Anthem composed by none other than Oscar-winning AR Rahman, reported an Indian media publication. Reportedly, the legends have already met and even had dinner together. Joe is enjoying his time in India and was also spotted devouring an Indian thali, looking all mesmerized by it. He was completely engrossed in Indian culture and was spotted wearing a traditional lavender kurta. Meanwhile, fans were losing their patience as they desperately wanted to meet and interact with the director, as he was a part of a fan fest that took place on Monday. The session is called 'Ask Me Anything Session' where fans will get a chance to really talk and indulge in superhero talks with the man who created wonders. 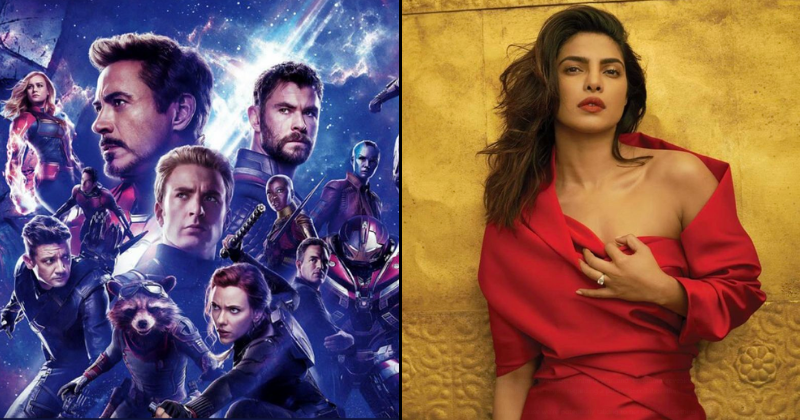 For Indian fans, to see Priyanka Chopra in a Marvel movie is going to be a surreal feeling for sure. And Marvel fans as a whole might also love to see some new characters with more super-power, for or against saving the world.